Thank you as always to our organizational sponsors: AECOM, CIVEO, CLAC, Enerplus, Horizon North, MEG Energy, Primco Dene, Royal Camp Services Ltd., and Tarpon Energy Services. Thank you for attending our March 21st Breakfast Mixer in Calgary! We had a great time, and the new venue, Hotel Arts, went over well with the 80 individuals who came out to the event. See you in May at our annual networking conference and golf tournament! ANNUAL NETWORKING CELEBRATION AND AGM EVENT NOVEMBER 29TH! Thank you for joining us for networking and celebration at the start of the Christmas Season. This opportunity to connect with fellow Indigenous/Industry/Community and Government Liaison Practitioners takes place every year, and in addition to being fun and informative, also includes a review of the business of the prior Fiscal year. Our thanks to AltaGas for sponsorship this event. WE HAD A GREAT SUMMER, AND HOPE YOU DID TOO! THANK YOU FOR COMING TO OUR ANNUAL NETWORKING CONFERENCE AND GOLF TOURNAMENT IN JUNE! Our conference agenda can be found here. Full conference and golf tournament event details are available at this link. Golf event details are available at this link. It’s a best ball scramble, and we tee off at 2:15! ACCOMMODATION: Contact the River Cree Resort directly at 1-844-425-2733 or at https://www.rivercreeresort.com/ to book your room. We are looking forward to hearing from John Reilly! He is the author of the best selling book, “Bad Medicine – A Judge’s Struggle for Justice in a First Nations community”, and “Bad Judgment – the Myths of First Nations Equality and Judicial Independence in Canada”. The third book in the trilogy, “Bad Law – Re-Thinking the Crimminal Justice system” will be published next year. Thank you as always to our organizational sponsors: AECOM, Civeo, CLAC, Enerplus, Horizon North, MEG Energy, Primco Dene, Royal Camp Services Ltd., Seven Lakes Oilfield Services and Tarpon Energy Services. AECOM, AER, ALPAC, BACKWOODS ENERGY, BLACK DIAMOND GROUP, CAPP, CANADIAN PACIFIC, CENOVUS, CLAC, DEVON, ENERNEXT COUNSEL, FNPA, HORIZON NORTH, NEXEN, REPSOL, ROYAL CAMP SERVICES LTD., SECURE ENERGY SERVICES, STREAMLINE MECHANICAL LP, SUMMIT CIVILS *Note: Corporate memberships that have not yet been paid are not listed here. May 24th found us at our first ever evening networking Mixer in Cold Lake at the Marriott Cold Lake. This event was sponsored in part by TransCanada Pipelines. It was well attended, and we are going to look for a date to hold our next Lakeland Mixer soon! We had so much fun on April 26th, at the evening Mixer in Calgary. Many people said that they really enjoyed listening to Mel Benson (who spoke on the importance of mentoring and supporting youth). 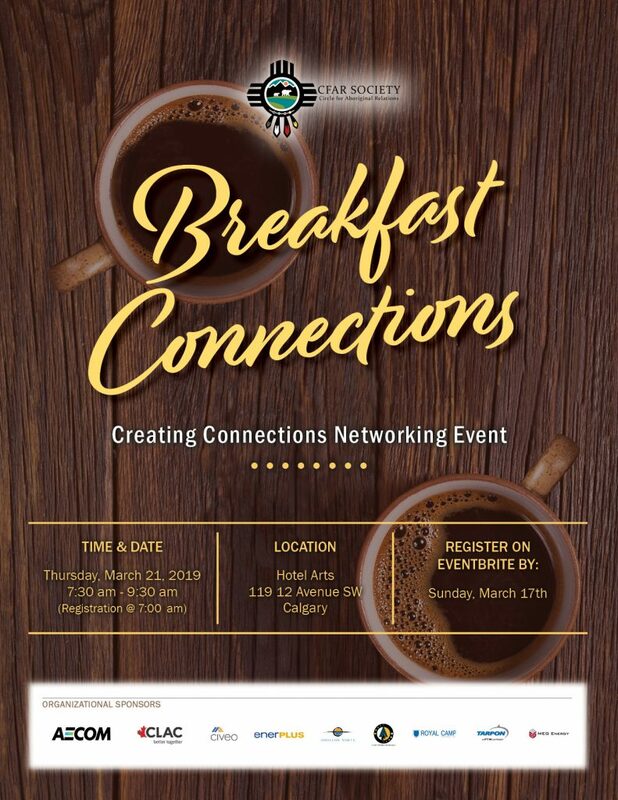 March 29th, our Networking Connections Breakfast featured a short talk by Darren Huculak from FNPA (First Nations Power Authority) and Joseph Duperreault from First Renewable Energy Partners at the Sawridge in Edmonton. Panelists include: Chief Dr. Reg Crowshoe, Chief Roland Willson, Patricia Hoard, Chief Darlene Hunter, Georgina Lightning, Dean ManyWounds and Darlene Lennie. This event provided opportunity for Corporate leaders to participate in a dialogue with Indigenous leaders, strengthening their understanding of meaningful relationships and respectful consultation, and to develop genuine partnerships. Panel consisted of progressive Indigenous Chiefs and leaders who are moving forward in economic and social development. (all proceeds to Indigenous youth and education projects). Impact Society has reason to celebrate. Impact Society’s HEROES® programs and processes have impacted in excess of 160,000 young people and adults. We are also very proud of our quickly expanding Indigenous initiatives. Stats Canada – “The Aboriginal population in Canada is the fastest growing segment of Canadian population.” We have specialized our programs for Indigenous youth, parents/caregivers, and community leaders — utilizing traditional cultural teachings leading to increased physical, spiritual, mental and emotional capacity of a Nation. Indigenous communities are quickly embracing our approach due to it being restorative, rather than punitive. See attached invites for more information. If you have any questions about these events OR are interested in being a sponsor, please contact ben.clayton@impactsociety.com. Thank you for joining us on December 7th for our annual December Networking Event and AGM at the Carriage House. It was a lovely evening – our thanks to Elder Kelly Good Eagle Sr and Daphne Good Eagle, and to our speakers – some impromptu – Todd Belot, Amy Willier, Ryan Robb and Stuart Randell! Thank you for attending our November 23rd breakfast events! Thank you as always to our organizational sponsors: AECOM, CLAC, Horizon North, Noralta Lodge, Primco Dene, Royal Camp Services Ltd., Seven Lakes Oilfield Services and Tarpon Energy Services. March 23rd – We Connected over Breakfast again at the International Hotel, 220-4th Avenue SW, Calgary, AB, T2P 0H5, Canada | www.internationalhotel.ca. Much fun was had as we shared some camaraderie, and wise practice conversations with colleagues from Community, Industry and Government. Our thanks to CFAR’s Board President, Todd Belot, for his comments about our wonderful organization, and what we are up to this year. CFAR’s 10th Annual CFAR Conference & Golf Tournament took place May 24-26 at the River Cree Resort and The Ranch Golf and Country Club. We hosted a Silent Auction FUNdraiser to support Indigenous communities affected by the fires in northern Alberta. We are pleased to announce that we raised $3,000! Thanks to all our participants and supporters. Golf Tournament it was cold out!! and wet!! – Tuesday September 15th – Registration and Lunch at 11 – Shotgun start at 1 – Dinner, Prizes and the Moosehide Campaign with Nelson Mayer at 6:30. The Conference Agenda can be found at this link 2015_CFAR_9th_Annual_Conference_AGENDA (subject to change) and includes a lineup of individuals form across Canada speaking to ‘Wise Practices in Community Development’ in the areas of Economic Development, Employment and Training, Procurement, Law, Professional Development, Interactive Digital Mapping, Regulatory Updates in Alberta and more – the complete conference package can be found here 2015_CFAR_Conference. Thank you to our valued Conference and Golf Sponsors! Thank you for attending our Annual AGM Event – Relational Partnerships, December 4th, 2014 from 5-11 at the Grey Eagle Resort and Casino in Calgary. Crow – $2000, Wolf – $1000, Friends of CFAR – $500 Click here for details. CFAR was honoured to host our 8th Annual Conference and Golf Tournament September 9-11, 2014 at the Marriott Hotel at the River Cree Resort and Conference Center at Enoch, Alberta. Our Conference Theme was Social License: Community, Approval, Acceptance. After almost 40 years in TV and radio broadcasting, the last 31 as a sportscaster at Global in Calgary, Grant Pollock is transitioning from talking about people’s lives, to saving people’s lives. Over the summer, Grant retired and moved into a family business, AED Advantage, selling automated external defibrillators. AED Advantage developed, the First Nation HeartSave Program, the first and only program of its kind in Canada. 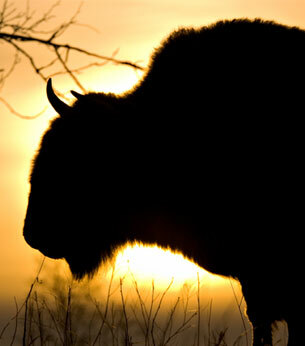 Today the program is very successful in Saskatchewan. Grant is passionate about AED technology and wants to see the program grow and become a success in Alberta. The Conference Agenda is here. A Panel consisting of Leaders from Treaty 6, 7 and 8 in response to the recent Supreme Court of Canada Ruling, This panel will be moderated by (former Chief of the Piikani Nation) Chief Dr. Reg Crowshoe. A Camp and Catering Services Panel including Jonathan Stringer from Aramark, Dr. Patricia Makokis, Canada North Camps, Sheila Collins, Horizon North Logistics, and Tim Heins, Royal Camp Services Ltd.
A Panel consisting of the Legal representatives from both sides in the Supreme Court caseTsilhqot’in Nation vs British Columbia, a Metis Leader and First Nation Aboriginal Rights and Treaty Rights expert. This will be moderated by the former Chief of the Hupacasath First Nation,Dr. Judith Sayers. Dr. Patricia Makokis, and Dr. Fay Fletcher, and the Credential Recognition Team with Dale Saddleback, Janice Makokis, Mary McDermott, and Matthew Whitehead. Joseph Pimlott, Vice President of Metis Nation of Alberta Region 3, returns to Emcee the Conference this year. Chief Dr. Reg Crowshoe facilitated a two day event at the River Cree at Enoch wherein Elder Technicians from Treaties 6, 7 and 8 were able to gather and exchange stories and ideas with each other, and on the 2nd day with Aboriginal Relations Industry Technicians, for the first time since 1976. Congratulations on a successful first foray into this important cultural and technical dialogue! CFAR hosted our first Golf Tournament in beautiful Fort McMurray at the Miskanaw Golf Course at MacDonald Island Park. We enjoyed a beautiful sunny day, good friendships and excellent team building opportunities. CFAR was pleased to host our Fifth Fort McMurray Mixer Event at the Sawridge Inn and Conference Centre on April 10th. The event followed the NAABA Aboriginal Women in Business Luncheon at MacDonald Island Park and saw Aboriginal Relations practitioners, local business owners, community members and leaders engaged in meaningful conversations to network, establish new connections and to mix with friends and colleagues over appetizers and a cash bar. March 12th Professor Les Jerome presentated a talk on “Healthy Communities: Some Observations and Implications between Individual, Family, Community, and the World”. Les brought humour and insight into a sensitive issue, and was very well received by the attendees, with many requests to engage him in future events. The CFAR Annual General Meeting was held on November 28, 2013 and featured the music of our friend, Walter McDonald White Bear. The event was held at the beautiful Westin Hotel in downtown Calgary this year. with various audiences that range from correctional services to principals, teachers and students. Learn the latest developments in this area from Aboriginal Leaders, Government policy makers and industry representatives. Be a part of the dialogue!! Take part in our extremely popular Golf Tournament to meet and network with other CFAR Members on September 24th. We regret to advise that Minister Valcourt was unable to attend the evening Golf Tournament Dinner. “We are pleased to announce that The Honorable Robin Campbell, Minister of Aboriginal Relations will be the opening speaker at our 7th Annual Conference. Please keep an eye on the CFAR website as we release the names of the other Speakers as they are confirmed. Jennifer Steber, the newly appointed Executive Vice-President of Stakeholder and Government Relations for the Alberta Energy Regulator. Moderators – Mr. Nelson Mayer, Executive Director of the Alberta Native Friendship Centres Association and newly elected President of the National Association of Friendship Centres and Lorne Ternes, CFAR Board Member, Alberta Energy Regulator hearing Commissioner, Aboriginal, Intergovernmental and Trade Law Consultant. Fort McMurray Afterhours Business Mixer – April 17, 2013 at the Sawridge Inn and Conference Centre. Building upon the success of our previous Fort McMurray Mixers and multiple Calgary Gatherings, CFAR presented our fourth afterhours business mixer at the Sawridge Inn & Convention Centre on April 17, 2013. The CFAR Annual General Meeting was held on October 24th, 2012. The AGM this year was incorporated into an exciting evening event to start our year off with a bang featuring Ed Peekeekoot. The event started at 5:00 pm at the International Hotel Calgary. and was an evening to remember! *** The AGM portion of the evening took place after dinner and before Ed Peekeekoot’s performance. All members in good standing were welcome to attend the AGM portion only at no charge. Following were our event sponsors. The sold out Golf Tournament was held on June 5th at the Ranch Golf and Country Club. Please click on the icon below for more details. We look forward to seeing you next year! The Conference was held June 6 – 7 at the Edmonton Marriott at River Cree Enoch. We were thrilled to have Audrey Poitras of Métis Nations of Alberta and her panelists as our Keynote speaker Please click below to view our ad. Please click on the icon below for the conference schedule. For speaker bios and abstracts, please click here. The audience was thoroughly entertained at the gala dinner by the likes of Arcand, Métis Child & Family Jiggers as well as the Kipohtakaw Singers accompanied by a local drum group from the Kipohtakaw Nation. We would like to thank the sponsors who supported our conference. Fort McMurray Afterhours Business Mixer – April 19, 2012 at the Sawridge Inn and Conference Centre. Building upon the success of our previous Fort McMurray Mixers and multiple Calgary Gatherings, CFAR was pleased to host our third afterhours business mixer held at the Sawridge Inn & Convention Centre on April 19, 2012. CFAR, fellow Aboriginal Relations practitioners, local Aboriginal business owners, community members and leaders joined to network and establish new connections over delectable food and drinks (cash bar). This was a casual and open event with no formal program, designed to facilitate professional networking. All proceeds from this event will go to benefit Chip Child Development Society, an organization whose mission is to provide holistic, positive and challenging learning experiences and opportunities for growth by providing on-going quality programs and services to children, families and staff. Without the support of our sponsors this event would not be possible. Thank-you to our sponsors.